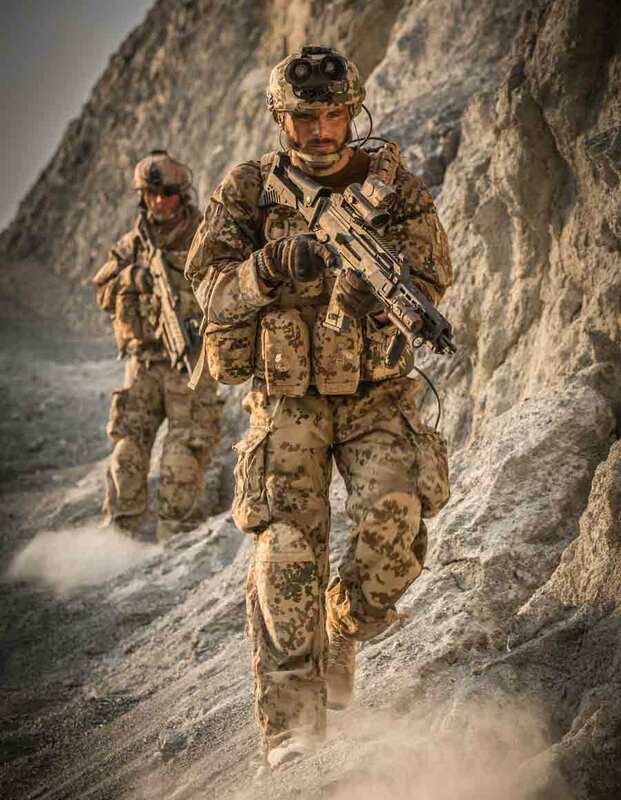 Rheinmetall has been awarded a €370 million (net value: €310 million) order from the German Bundeswehr to equip 68 infantry platoons with the Future Soldier – Expanded System (IdZ-ES). The new systems will be delivered between 2018 and late 2020. The modular Future Soldier – Expanded System, or IdZ-ES, brings dismounted infantrymen into the network-enabled warfare loop. Troops on the ground detect, recognise and identify targets, which they either engage themselves or by calling in additional fire support. Swift, precise, scalable engagement of targets is not only vital for force protection, it also protects the civilian population and helps to avoid collateral damage. The IdZ-ES has been in service with German troops in Afghanistan since summer 2013. 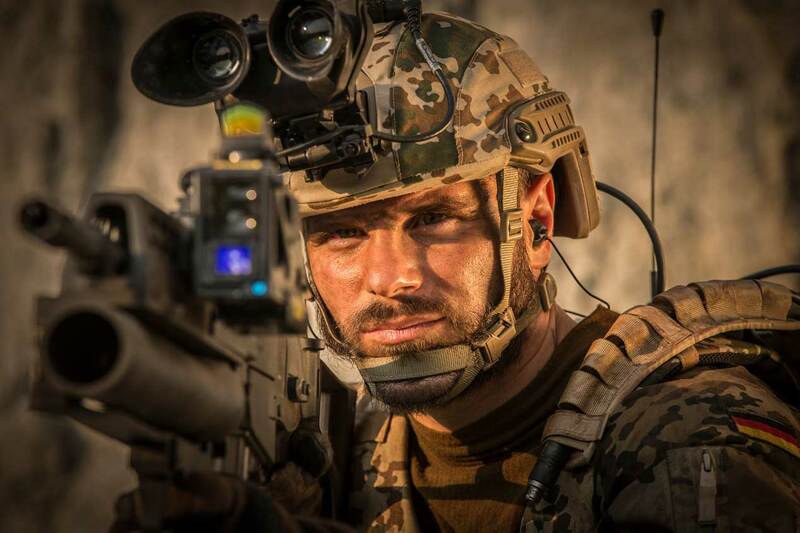 Since 2012, the Bundeswehr has procured three lots, a total of 90 systems, each of which is designed to equip a 10-man section or squad. The 68 platoon systems are enough to equip more than 2,460 soldiers. Based on a holistic, “total infantry system” concept, the IdZ-ES integrates infantry and mechanised infantry platoons and their vehicles—specially equipped to serve as base stations—into the network-enabled warfare loop. The battery-powered core computer worn on the soldier’s back—and thus known as the “electronic backbone”—controls all the devices and sensors carried by the soldier via various interfaces. Its principal functions include: power supply management; access control and monitoring; the soldier information system for map and situation display; navigation; reporting; exchange of reconnaissance and target data; processing sensor data (own position, line of sight); operator interfaces and visualisation as well as system configuration. The soldier can control the Soldier Command System and communication via a manually operated control and display unit known by its German initials as the BAG. All relevant data concerning the current situation, the position of friendly forces (blue force tracking), the mission and system status are displayed either on the BAG or, alternatively, on the OLED helmet display. The modular battle dress uniform can be readily adapted to meet the current environmental and temperature conditions. Other important features include the ballistic body armour (Protection Class 1) with integrated ventilation shirt as well as a modular harness for carrying ammunition, ordnance, the electronic backbone and additional equipment. The IdZ-ES protective vest comes complete with chest rig and hip belt; with added ballistic inserts, it offers protection up to German Level 4. The section or squad leader and their assistant are both issued with an additional leader module consisting of a portable command computer operated via touchscreen. A rifle-mounted push-to-talk button enables wireless communication even when the operator leader has raised their weapon. Furthermore, small arms can also be fitted with optical and optronic devices. The Argus soldier system, for example, is now being produced for the Canadian armed forces’ Integrated Soldier System Project. Another international customer already uses a Gladius variant, which is based on the IdZ-ES.